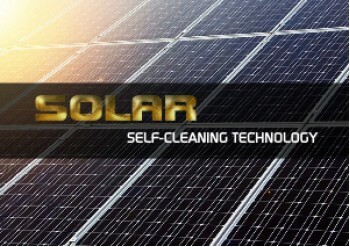 Accumulation of dust and other pollution from the outdoor environment on the solar collectors can reduce the system efficiency. After coating treatment solar glass accumulates significant less dry dust than untreated solar collectors glass. Significant less dust on solar panels means less maintenance and higher overall energy production. Coating Benefits: - The ultra-thin, durable nano coating reduces dirt and dust accumulation and at the same time provides a scratch resistant easy to clean protection, - The coating is heat and chemical resistant, - Nano coating spray reduces the contact surface of dust particles with the surface giving it a self-cleaning properties, - Coated panels show a higher power output and more consistent energy efficiency, -The coating protects the solar collectors glass from erosion, and from stubborn staining from salt and mineral deposits. Magic Solar Coat (1 Liter) - Nano coating with hydrophobic and self-cleaning properties for photo-vo..
Magic Solar Coat (250 ml) - Nano coating with hydrophobic and self-cleaning properties for photo-vol..
Magic Solar Coat (5 Liter) Advanced hydrophobic SiO2 coating for photo-voltaic(PV) and solar thermal..